April 11, 2019, Hanover, ON – Gateway Casinos & Entertainment Limited (“Gateway”) is excited to celebrate the grand opening of its spectacularly transformed Playtime Casino Hanover an $18 million renovation that has added 100 new jobs to the community of Hanover. The first Playtime Casino in Ontario for Gateway, the new casino features 300 slots and 8 live table games and is home to Gateway’s signature restaurant brands MATCH Eatery & Public House and The Buffet, as well as the introduction of the new Arcade Bar. Gateway Casino’s signature restaurant brand MATCH Eatery & Public House offers the welcoming experience of a neighbourhood pub with the high energy and excitement of a sports bar, plus live entertainment. The MATCH in Hanover welcomes families with children and there’s a menu to suit every taste. This summer, MATCH will debut a beautiful, outdoor patio overlooking the Hanover Raceway and ball diamond. The Buffet offers exceptional value and an ever-changing array of savory items, often highlighting cuisine from around the world with exciting desserts and a fresh, soft serve ice cream fountain. Derek Tierney, General Manager of Playtime Casino Hanover welcomed Gateway’s CAO Brad Bardua, Hanover Mayor, Sue Paterson and OLG Vice President of Land Based Gaming, Bruce McKenzie to the newly renovated casino as they cut the ribbon and commemorated the opening of this fantastic new entertainment destination for the Bruce Peninsula and Huron County. 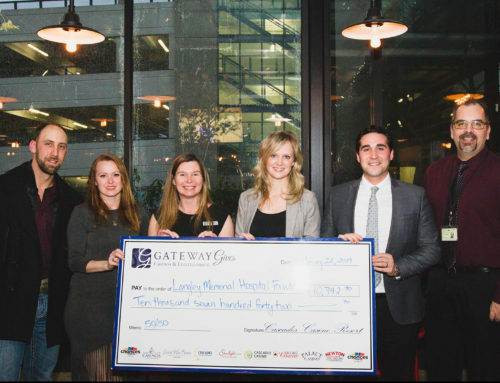 Gateway proudly announced that the Playtime Casino Hanover employees selected the Hanover and District Hospital Foundation as the charity partner for the grand opening. A portion of the proceeds from the sale of local brewery McLean’s Farmhouse Blonde Lager and MATCH’s Turkey Brie and Apple Clubhouse sandwich will be donated to the hospital foundation. 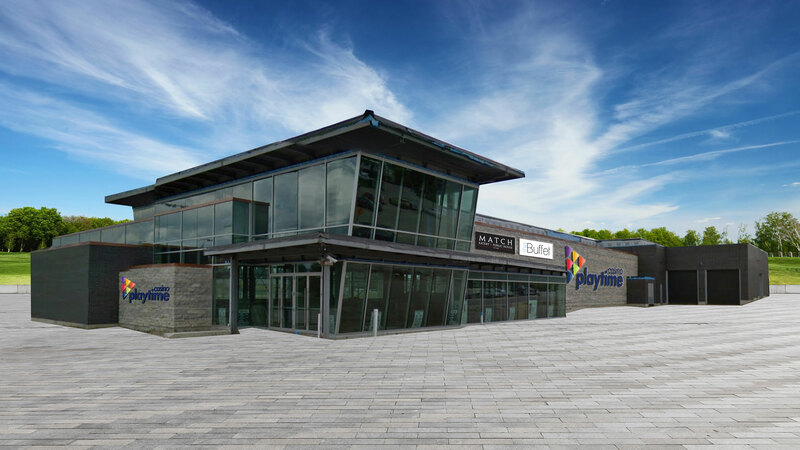 The opening of Playtime Casino Hanover is the latest announcement by Gateway following the news last week of a location for a brand-new Gateway Casino in Wasaga Beach and the opening of a new $36 million Cascades Casino in Chatham-Kent this July. 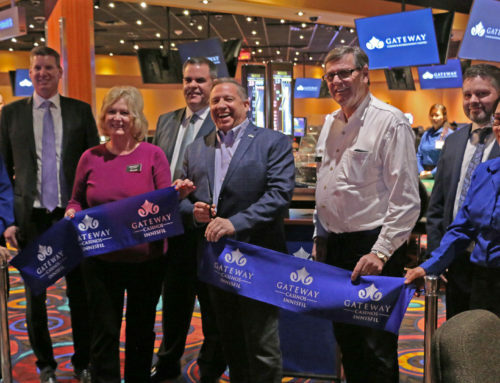 Gateway recently launched its first Starlight Casino in Point Edward, Ontario after a $26 million renovation to that site. Last month, Gateway added 26 live table games to the Gateway Casinos Innisfil and is proposing to build a new casino and entertainment complex in North Bay. A commitment to responsible gambling is integral to how Gateway operates in Ontario including OLG’s PlaySmart program. All Gateway properties in BC and Ontario hold RG Check accreditation. Together with OLG and other government partners, Gateway will continue to implement responsible gambling initiatives at all properties across Canada. To kick off the festivities, there’s a live concert from award winning Canadian country music artist and Hanover native, Jamie Warren on the MATCH stage followed by more live music throughout the evening. On Friday, April 12th, celebrations continue with an autograph session with NHL legend and former Toronto Maple Leaf Darcy Tucker in the casino lobby – so families are welcome to bring the kids. Starting next week Monday, April 15th, you can participate in the “Grab Your Hat” promotion. On Tuesday, April 16th you can get a first-hand introduction to table games featuring on-site “Table Ambassadors” to help you learn how to play. All this will be accompanied by great food and beverage specials all week in the MATCH Eatery & Public House with more promotions to follow. For more information on Playtime Casino Hanover please go to hanover.playtimecasino.ca.